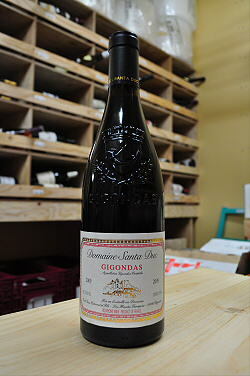 Not surprisingly, the 2009 Gigondas Tradition (a classic blend of 75% Grenache, 10% Mourvedre, 10% Syrah and 5% Cinsault) is a much denser, bigger, richer wine with an alcohol level pushing 16%. 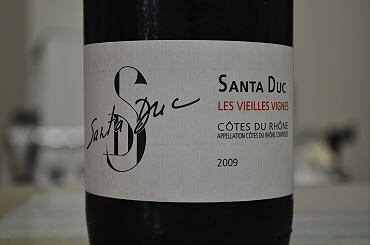 It reveals a dense ruby/purple color, outstanding ripeness and hints of licorice, truffles, asphalt, blackberries, blueberries and barbecue smoke. Drink it over the next 5-8 years.